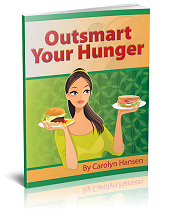 Grab Our FREE Report "Outsmart Your Hunger" Right Here! Your email is safe with me, and you can opt out any time. If you enjoyed the book and would like to give a testimonial, I would be happy to receive it. If you have a blog or another website of yours, please supply the URL so that it can be used to "authenticate" you to anyone who might read your testimonial. Also, if you have an online photograph - a mugshot - a URL for that would be appreciated. Not all testimonials can be used, but a website URL and mugshot go a long way to improving the odds that your review can be used. Thanks! Otherwise, if you have general questions about the ebook, suggestions for improvement, or you wish to enquire about other aspects of this web site, just enter the relevant information into the form below, preview your message, then send it.